This product has been superceded by our latest High Capacity Vapour Filter for Generation 2 Gas Tanks. 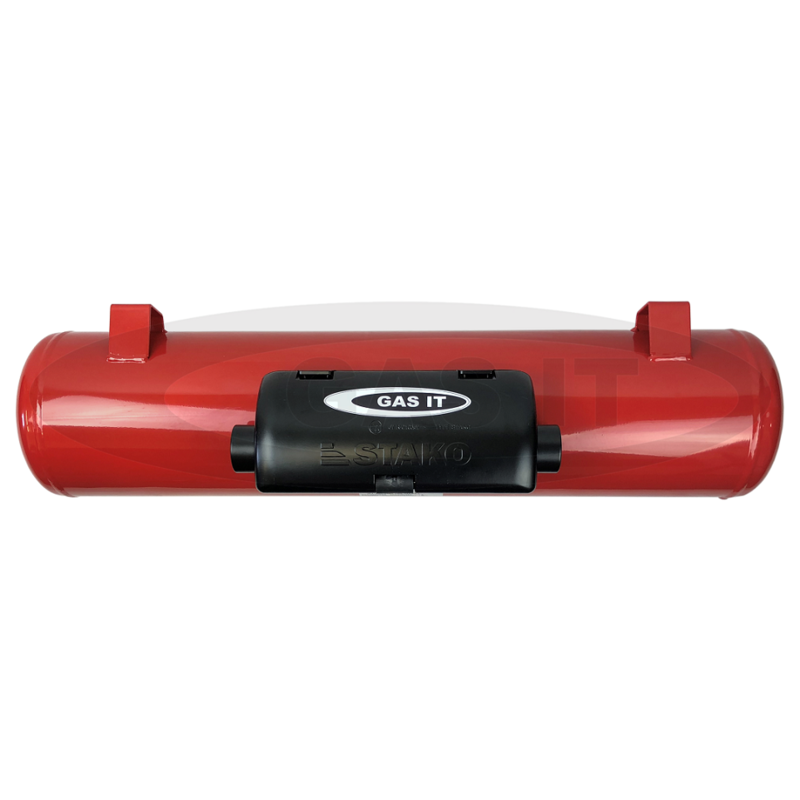 Our GAS IT straight in and out filter offers great filtration functionality at rock bottom price and is designed for any GAS IT underneath Vapour tank with the black airbox fitted to the tank and comes with the on tank extension in the kit. Whilst this on tank vapour filter is small in size, its a very capable high flow filter unit capable of working in all vapour applications on Caravans, Motorhomes, Catering or even road repair. Its small filter bowl means it will fit with easy in many space restrictive applications and will not catch on the tanks. 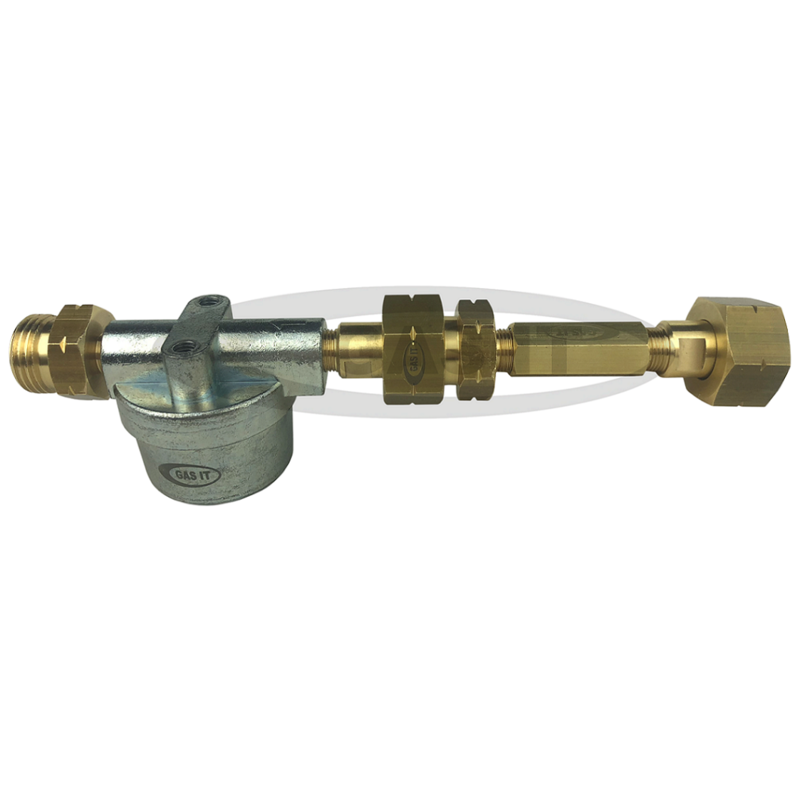 It is designed to be connected on the outlet of the Vapour tank and allows your existing pigtail or regulator to be connected direct to the filters outlet. This picture below shows you the GAS IT tank with black valve box fitted that this filter kit works with. It works with feeted or none fitted GAS IT tanks.